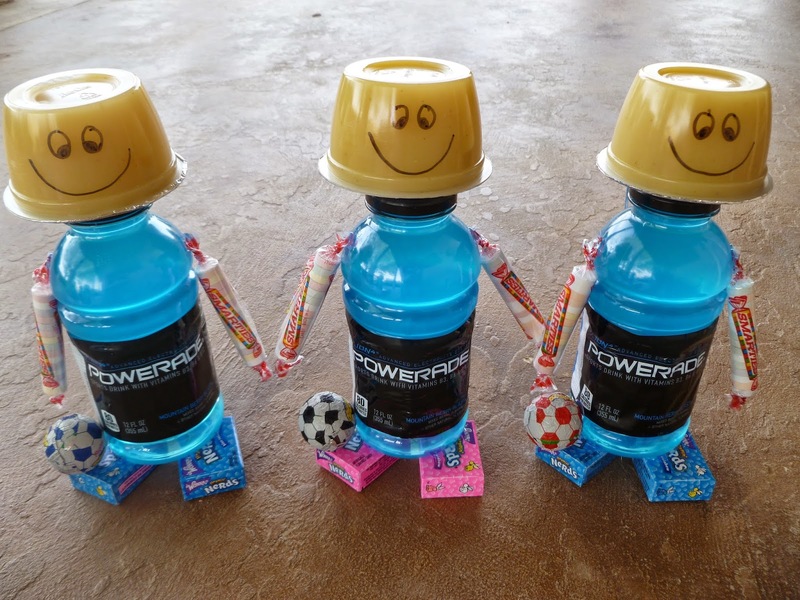 Indulge With Me: Soccer buddies! 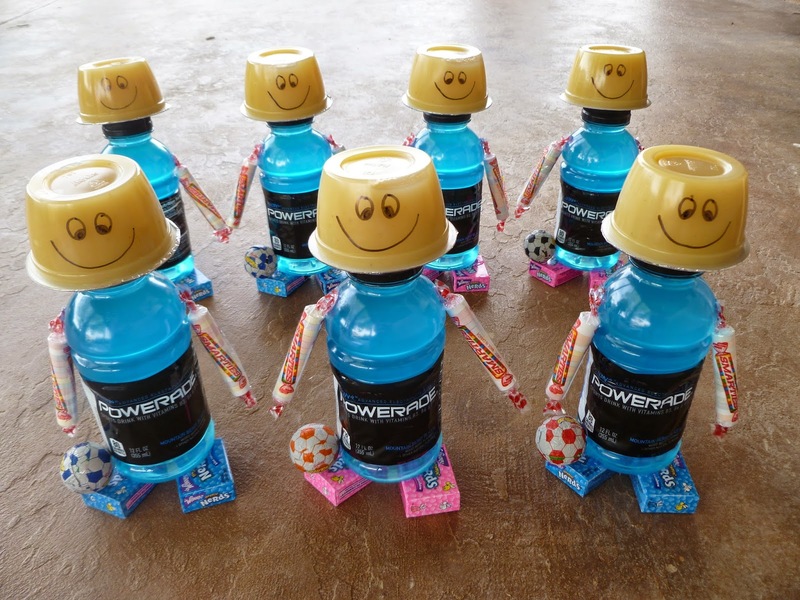 We made these for Wyatt's soccer snack today. I found the idea online. I love how a simple face can give anything a personality. 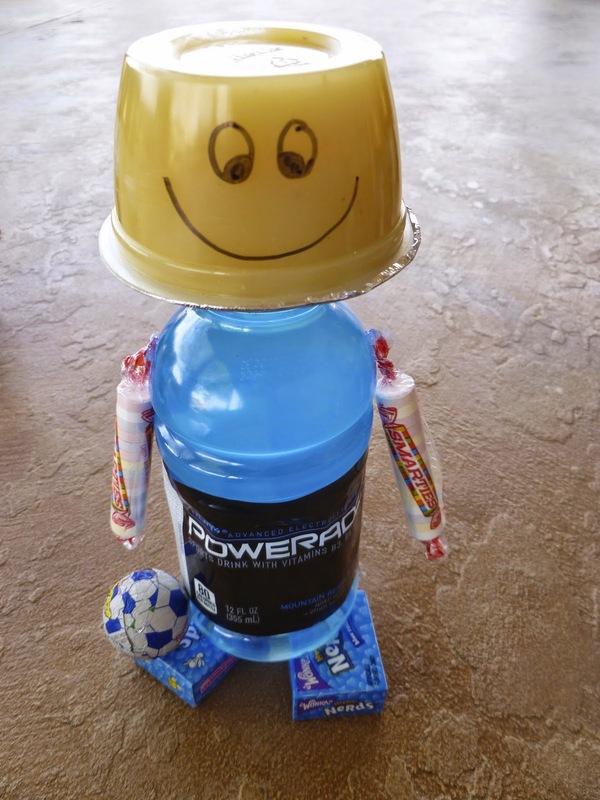 We used applesauce for the head, Nerds-feet (I saw an idea where they used Raisins which would have been healthier but I had these on hand), Smarties-arms, and I found the chocolate balls in the Mexican candy section at our Wal-Mart. I also glued a spoon to the back of him for support and to eat the applesauce with. 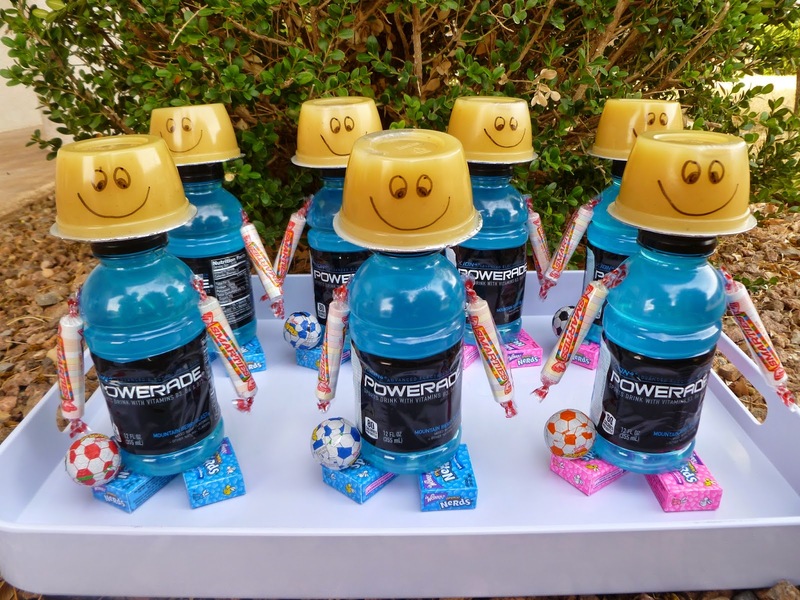 Wyatt's soccer buddies loved these!